The Big Bang Theory and sexism? 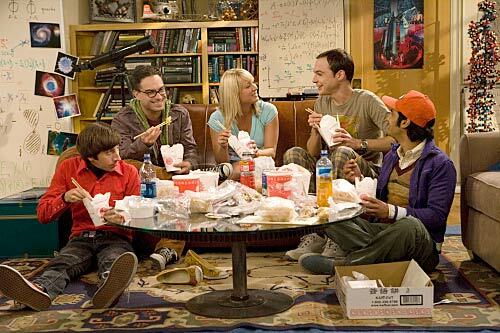 Of course, I mean the sit-com – not the cosmological theory. It’s a favourite of mine. We have almost reached the end of series 2 in New Zealand and I have watched every episode. The production has general been reviewed well by pro-science people so I was intrigued to hear some critical assessments on a recent podcast of the Skeptics Guide to the Universe (Podcast 211 – August 2009). Rebecca and fellow Skepchick Carrie Iwan were criticising the stereotyping of the main female character, Pennie, as sexist. They felt she is cast in the role of the dumb blonde as a foil to the intelligent nerds Sheldon, Leonard, Rajesh and Howard. The complaint was – why don’t women get more roles as intelligent characters.